Dust prawns in flour, then dip in the lightly beaten egg, followed by rolling the prawn in the lupin flake & parsley to coat lightly. Allow the prawn to sit for a minimum of 10 mins in the fridge whilst making the lupin puree. (longer is better). Squeeze lemon juice over the hot prawns, and serve on a bed of the warm Lupin Garlic puree. 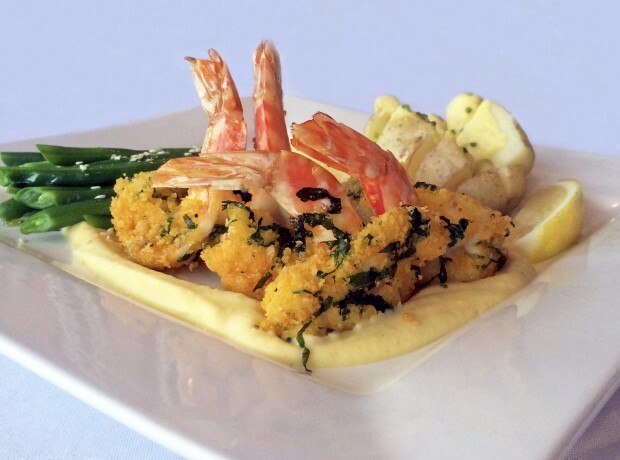 Serve the prawns with steamed green beans, lemon wedges and a potato drizzled with the garlic puree. Depending on preference the puree can be thickened further by the addition of the rest of the potato or thinned out further with the addition of a little more water.